The Thomas Wolfe Memorial in Asheville, NC is the childhood home of world-renowned American Novelist Thomas Wolfe (1900-1938). This novel earned a place for the charming Victorian period house as one of American literature’s most famous landmarks. 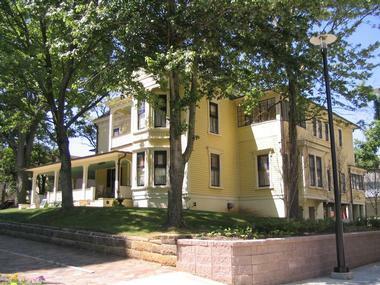 Located 52 North Market Street in the Downtown Asheville Historic District, the Thomas Wolfe Memorial, also known as the Thomas Wolfe House is listed on the National Register of Historic Places and as a designated National Historic Landmark. Built in 1883 by prosperous Asheville banker Erwin E. Sluder in the Queen Anne style of architecture, the wooden two-story frame house began life as a boarding house known as the ‘Old Kentucky Home,’ which was run by Wolfe’s mother and where he lived until he went to university in 1916. The sprawling boarding house was originally built with only six or seven rooms and a front and rear porch, but by 1889 many renovations and additions had more than doubled the size of the original house, but managed to retain its architectural style. Heavily influenced by his childhood in Asheville and his life in the boarding house, Wolfe used these early years as inspiration in his writing, and the boarding house was used as the setting for Wolfe’s first novel which he wrote in 1929, Look Homeward, Angel. 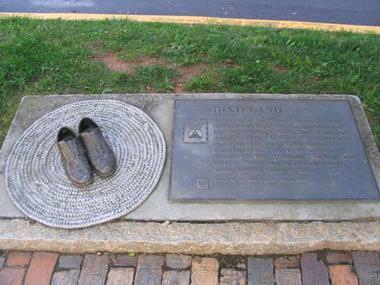 In this autobiographical fiction, Wolfe changed the name of the boarding house to ‘Dixieland’ and includes highly realistic portrayals of life in Asheville and his own experiences among family, friends, and boarders into the book, which caused it to be banned from the local library. Considered by many to be one of the most autobiographical novelists in American Literature, Thomas Wolfe wrote four novels during his short lifetime, namely Look Homeward, Angel, Of Time and the River, The Web and the Rock, and You Can’t Go Home Again. He also wrote numerous shorts and plays, articles, novella, and scripts. Wolfe died at a relatively young age from tuberculosis and later, after his mother’s death, the 29-room house became a memorial to Wolfe and was opened to the public in the 1950s. The house was set alight by an arsonist during the Bele Chere Street Festival of 1998 and more than a quarter of the house’s original artifacts and pieces of furniture were destroyed. In 2004, the State of California spent over $2 million restoring the house to its former glory and its stands today as it once did more than a century ago. The historic Old Kentucky Home is now operated as a North Carolina State Historic Site and boasts a modern visitor center with an exhibit hall filled with informative exhibits depicting Wolfe’s life and literature. The exhibition hall also features a display of art inspired by the writings of Thomas Wolfe and an audiovisual presentation about the author’s life and works. Other facilities at the Thomas Wolfe Memorial include the Wolfe children's playhouse, beautifully manicured heirloom gardens around the boarding house, modeled on the flower and vegetable gardens of Julia Wolfe, Thomas’ mother, walking paths and trails and several outdoor monuments and exhibits. A small gift shop is located in the visitor center and offers a selection of souvenirs, memorabilia, books and other items relating to Thomas Wolfe, his literary works, and the famous boarding house. 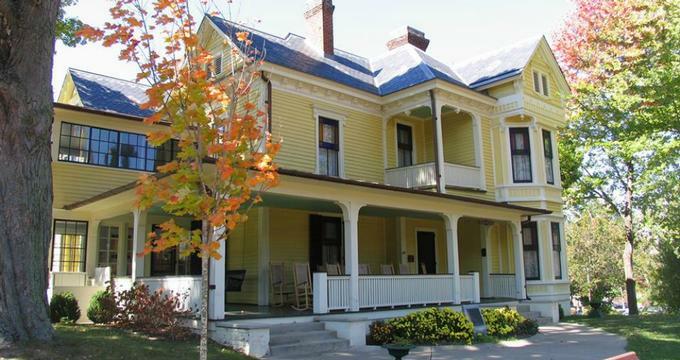 The Thomas Wolfe Memorial offers a range of educational programs and group activities for visitors, as well as guided tours of the house and property. Annual programs include “A Day in May, 1916”, which showcases what it would have been like to live and work during that time in history, and a “A Walk Through Dixieland”, which is a literary program that explores the life and works of the author. Guided tours of the historic home are offered daily at the bottom of each hour and need to be reserved in advance. The Thomas Wolfe Memorial is open Tuesday through Saturday from 9:00 am to 5:00 pm and closed on state holidays. Guided tours of the house are offered on a daily basis at half past each hour and explore the life and times of the famous author and how this beautiful home played such a central and vital role in his work.